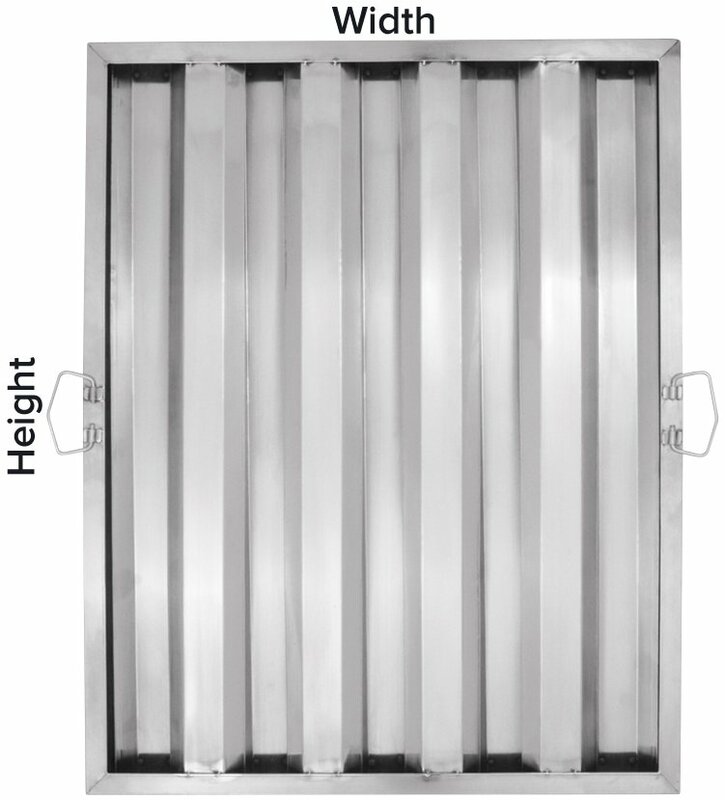 How do I know which side is the "height" and which side is the "width" of my hood filter? Why are my hood filter's measurements a little different than what you have listed? We list the nominal industry size of each filter on our site. The actual measurements are approximately 1/2" smaller in size. Why do the baffles run up and down and not side to side? These run up and down to allow grease to drain. If installed side to side, not only would you risk the handles getting in the way, but you would have grease build up, which is dangerous.